The primary role of the District Executive is to support the District Commissioner in undertaking his role. We also support all those who work with young people in scouting across South Leicestershire, and the Executive committees that support each Scout Group in the District. We are responsible for ensuring that the District’s finances are in order, that any District property ( including the Ullesthorpe Campsite) is well maintained, that appointments to scouting roles are undertaken following due process and that scouting across the District is undertaken safely and in line with safeguarding guidelines. We are all volunteers. 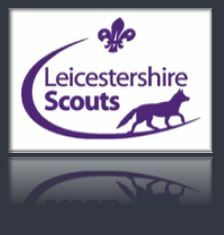 We bring a range of different skills and expertise to Scouting. We welcome contact from any members of the community or parents, and are happy to help young people get the most from their scouting adventures.